Poll: Recommend Larva vs NaDa? Your vote: Recommend Larva vs NaDa? Poll: Recommend Rush vs Horang2? Your vote: Recommend Rush vs Horang2? Your vote: Recommend Winners Game? Go NaDa! Hoping for some great games today. 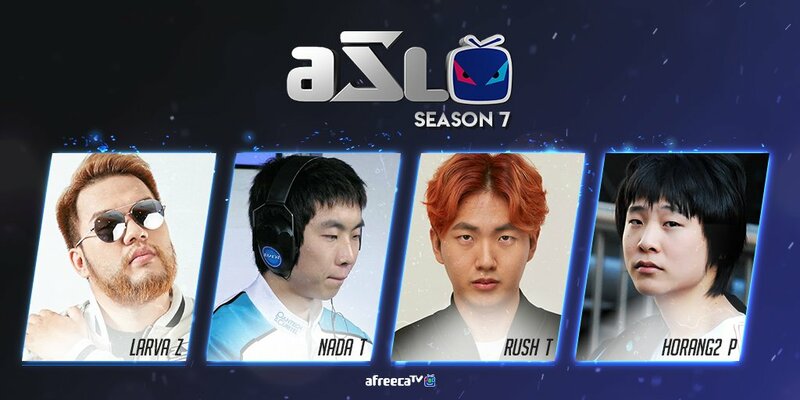 Finally some ASL... Go NaDa! Finally some Starcraft! Lets go! Larva and Nada! Pretty tough group though to start things off with. Rush and Horang2 are no slouches. Is John the Translator BACK? any youtube link? or twitch? Now we just need Poopfeast420. NaDa looks so cool calm and collected. I wonder if his body is still as epic as it used to be. yeap, they are there !